Hidden in Christ: Living as God's Beloved (Apprentice) est le grand livre que vous voulez. Ce beau livre est créé par James Bryan Smith. En fait, le livre a 216 pages. The Hidden in Christ: Living as God's Beloved (Apprentice) est libéré par la fabrication de IVP Books. Vous pouvez consulter en ligne avec Hidden in Christ: Living as God's Beloved (Apprentice) étape facile. Toutefois, si vous désirez garder pour ordinateur portable, vous pouvez Hidden in Christ: Living as God's Beloved (Apprentice) sauver maintenant. A Deeper Sort of Devotional Words are powerful. They contain ideas and shape the way we see God, ourselves and all of reality. We're transformed, in particular, by God's Word, and by "the Word," the Logos―Jesus himself―as described by John in the first chapter of his Gospel. Memorizing and studying a passage in depth can offer a deeper sense of the meaning of each word. 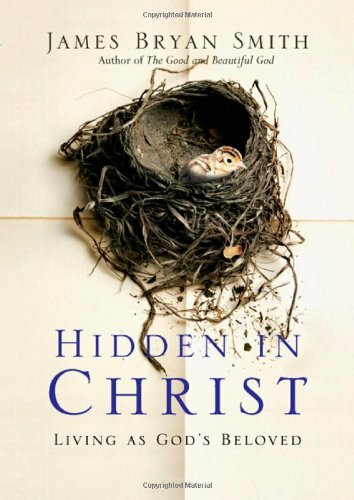 In this unique introduction to the hidden life in Christ, James Bryan Smith walks readers through a thirty-day immersion in Colossians 3:1-17. Each of the thirty short chapters of this book bring out the main truth of just one word or phrase of this rich passage. You'll also find a very simple daily practice to take up, reflection questions and a guide for five weeks of group discussion. The chapters are short in length, making this book an ideal daily devotional. Since there are thirty chapters, it could be used for a one-month introduction to the hidden life in Christ. Though brief in terms of length, each chapter tries to unearth some very deep truths. For those who have read and practiced the exercises in the Apprentice series, this book will be a helpful refresher as you continue your sacred journey. Each chapter also contains an exercise or practice ("Living into the Truth"), as well as an affirmation that summarizes the main point of the chapter and a written prayer designed to move you deeper into the truths of the Word. In addition, each chapter concludes with a few reflection questions that can be used either by individuals or in a group discussion. The only way to tell a story is to use words. May the words of Colossians 3 become a companion to you as God continues to write your story.